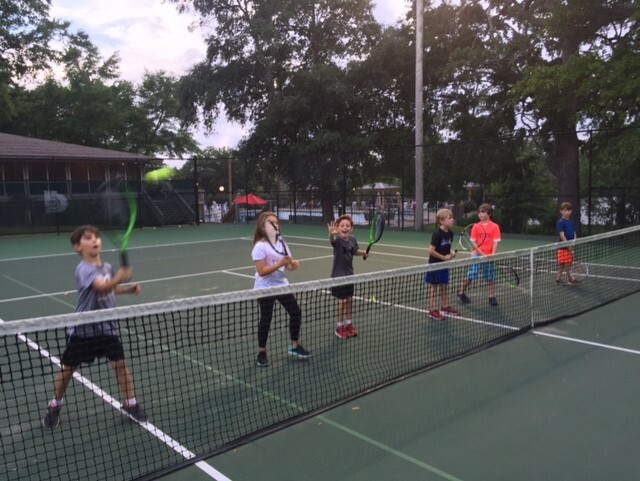 As the school year draws to a close, Bayou Bluff Tennis Club in Gulfport hosted a special OLF Elementary night at their tennis club. 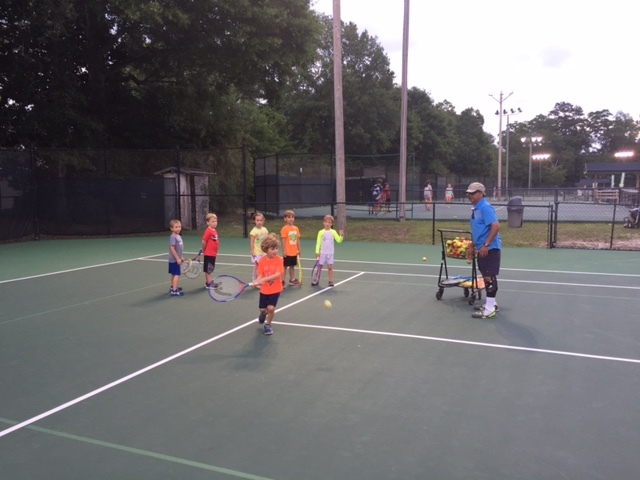 The tennis pros from Bayou Bluff hosted a tennis clinic for the students with their parents in attendance. After the one hour clinic, students and their parents were treated to hamburgers and hot dogs. Many of the students also took advantage of the Olympic-size pool of Bayou Bluff. “This is a great way to introduce students to the great game of tennis. Tennis is a game these kids can play for the rest of their lives. It is great exercise and a lot of fun,” said Tennis Pro Toby Fasth.